Windows Server 2019 what's new? 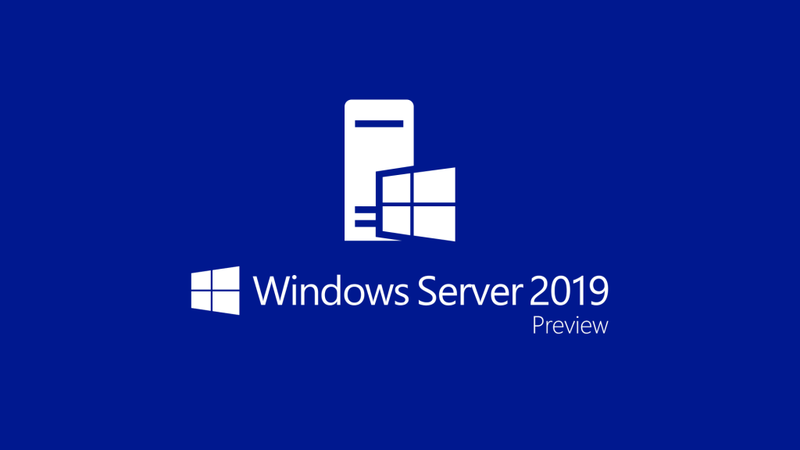 /Blog @en /Windows Server 2019: What’s New & What Can You Expect? Windows Server 2019 is now generally available to the public! As you know, whenever Windows gets ready to make a major operating system release, it’s time to prepare for some changes. In this piece, we’ll give you a crash course in what to be excited (or worried) about in Server 2019, provide an overview of some exciting new features, and discuss how you can get your hands on Microsoft’s latest server operating system. What can you expect Server 2019 to “look and feel” like? To the dismay of many, Windows Server 1709 was released without a graphical user interface (GUI) in late 2016. If you we’re one of the admins who disapproved of this decision, you’ll be happy to know Server 2019 will have “desktop” GUI options with a look and feel similar to the popular Windows 10 desktop. It will also still have Server Core options for those of you who prefer the GUI-free experience. What are the main areas Microsoft is looking to improve in Server 2019? Hybrid- Virtualization and hybrid clouds are almost everywhere these days. To better integrate into these hybrid environments, Microsoft is making a strong push to better interconnect their Azure cloud platform and their Windows Server operating systems. Server 2019 will go a long way in advancing that goal with enhancements like hybrid capabilities added to Windows Admin Center. Security- With the cost of data breaches being so high and our systems being so interconnected, security is a must for any enterprise-grade operating system. Windows is taking a 3-pronged approach to security with a “Protect, Detect, and Respond” theme. Features and enhancements like Shielded VMs (virtual machines) supporting Linux operating systems, detection of zero-day exploits, and Defender Exploit Guard, are helping lead the charge for them on the security front. Application Platform- Containers are huge in application development today and Windows recognizes this. They are enhancing support for things like Kubernetes and adding support for Linux containers. Enviroment navigation between Linux and Windows has been a pain point for developers, and 2019 is looking to fix that. Hyper-converged Infrastructure (HCI)- HCI is one of the hotter IT “buzzwords” this year and Windows is taking notice. With Server 2019 they are focusing on partnerships and enabling users to get the most out of their infrastructure with their Software-Defined program. Boasting big name hardware partners like Dell, NEC, Huawei, Hewlett-Packard Enterprise you can tell Windows is taking HCI and performance seriously. You can read more about each of these features in the general availability announcement. Where can you get an evaluation copy? Microsoft’s evaluation center has 180-day evaluation downloads of Server 2019, Hyper-V Server 2019, and Server 2019 Essentials available for download. Remember: evaluation copies of Windows generally can NOT subsequently be upgraded to a “normal” operating system without some less than ideal “hacks”. If you install an evaluation copy, make sure to treat it as such and have a plan to implement Server 2019 in production when you’re ready. Will you be able to upgrade from 2012 R2 or 2016 to 2019? Yes, you will! One of the biggest potential pain points of upgrading a production server from one operating system to another is the risk of losing data or running into complications. Fortunately, as mentioned in this tech-community post, Microsoft has been working to improve the in-place upgrade experience when going from Server 2012 R2 or Server 2016 to Server 2019. Obviously, we’ll need to see how this works out in practice, but this is a reassuring sign. With all the above in mind, you should now be ready to get your feet wet with Server 2019. Let us know your opinion in the comments below.